For all of you who joined us for our last meet up at Bottle & Wood you know they put on a great event! 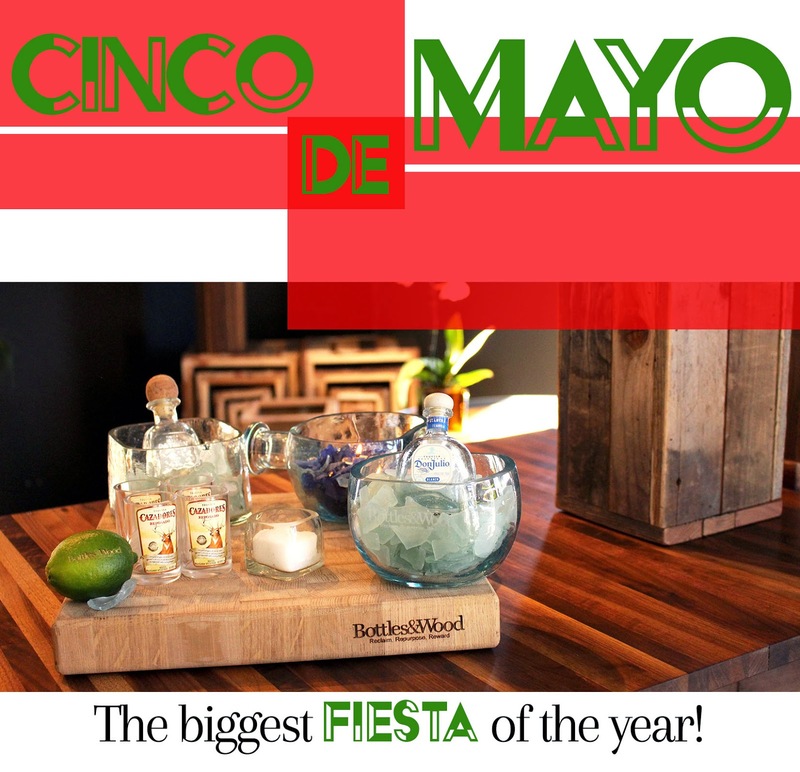 The local eco-design company, Bottles & Wood is back at it again hosting the fiesta of the year to kick-off Cinco de Mayo & they're inviting San Diego Style Bloggers! From B&W: Repurposing and reclaiming glass and wood materials to create upcycled serving ware, glassware and home decor, Bottles & Wood invites San Diego to come see its showroom in Clairemont Mesa and have some fun! Delicious food truck, Frida’s Cocina, will be cooking up authentic Mexican food; tequila and beverages galore and all served on Bottles & Wood’s handcrafted items.